Welded by the Cammell Laird’s workforce over 40 years ago, the "Bucket Fountain" is the brain child of Welsh sculptor, Richard Huws. 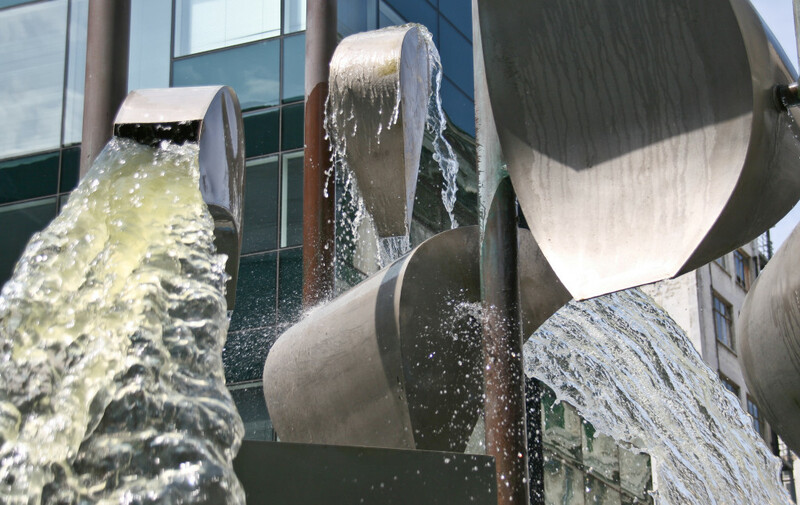 In the 60s, kinetic sound-sculptures like this one could be found soaking civic squares from Wellington to Seattle. 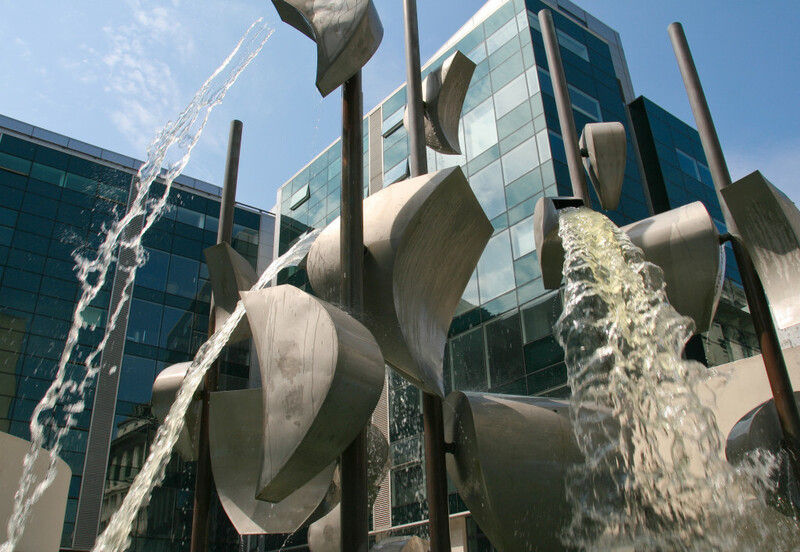 Although known as the "Bucket Fountain", its official name is the Piazza Fountain. The pivoted buckets are suspended on rods from which they are filled with water, they tilt when they become full and then empty noisily into lower buckets and/or eventually empty in the pool in which they stand. “The sight and sound of waterfalls is so spellbinding that they have always been centres of attraction in the landscape, and in the places where we work we are prompted to create them artificially,” Huws said, adding that the ‘perpetual bubblings’ of man-made fountains seriously bored him. It was originally destined for a new town in Lancashire but the Arts Council stepped in and contributed £750 towards the Merseyside Civic Society’s campaign to have the sculpture relocated along the banks of the Mersey – on the site of the old Goree Warehouse.